SPLP-1000Liquid packaging machine can complete the whole process of film sterilization with ultraviolet radiation, date printing, rationed filling and sealing & cutting automatically as a continuous action. The finished package is beautiful and secure. 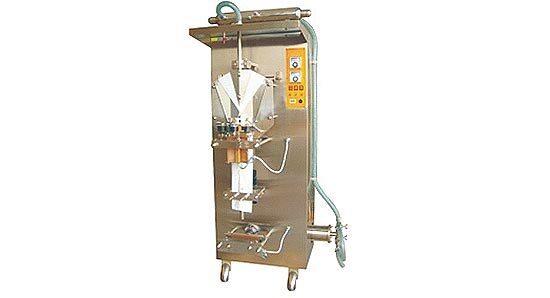 Liquid Packing Machine is made from stainless steel to ensure international hygiene standards. Liquid Packing Machine is automate the sealing temperature control, not be affected by voltage. Liquid Packing Machine is suitable for single layer PE film. Liquid packaging machine is widely used to make packaged Water pouches.